I like to make jokes about being picked last in PE class — it’s even in my bio — but it’s a joke with a ring of truth. Sadly, my feeling of being bad at sports and dreading physical activities started there. It’s only as I got older that I came to understand the value of being active and made it an important part of my life, and consequently, to encourage it in my daughter, who, I’m happy to say, is not repeating the cycle. Unfortunately, many kids feel just like I did. 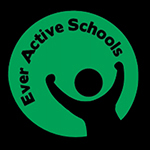 In article in the Telegraph, a new survey by Virgin Active, The University of Bedfordshire, and primary school teachers across the UK, reveals that teachers believe “more than one in three children dislike exercise by the time they leave primary school and 42 percent of children don’t enjoy PE lessons.” Yikes. It gets worse. The more negative the feelings, the less kids participate, and the same study reveals that “nearly half of primary school pupils are leaving school without basic movement skills” to engage in physical activity. Though this survey comes out of the UK, here in Canada, we have also seen our specialist PE teachers replaced by generalists. Joyce Sunada, who taught physical education to kids for 25 years and is now a wellness coach for active living, notes that it’s a common scenario for general teachers to be handling PE instruction, alongside the core subjects they’re trained to teach. Sunada recently had the opportunity to mentor elementary generalist teachers currently teaching PE. She was gratified to see that the instructional tips, class management strategies, and activity modifications she demonstrated, positively contributed to the development of physical literacy and the overall experience of the student during their PE class. When PE class is taught outside, set up visible boundaries with cones or pylons and call it the “outside gym”. This immediately provides boundaries for the students and decreases the stress on teachers. If your child’s school is struggling with a lack of PE specialists, check with the administration to see if it would be possible to bring in a mentor to work with the teachers for a couple of days. It could make all the difference to your child’s development and enjoyment. The more physically literate kids are, the more active, and the more active, the more physically literate. And that’s the cycle we want to repeat.